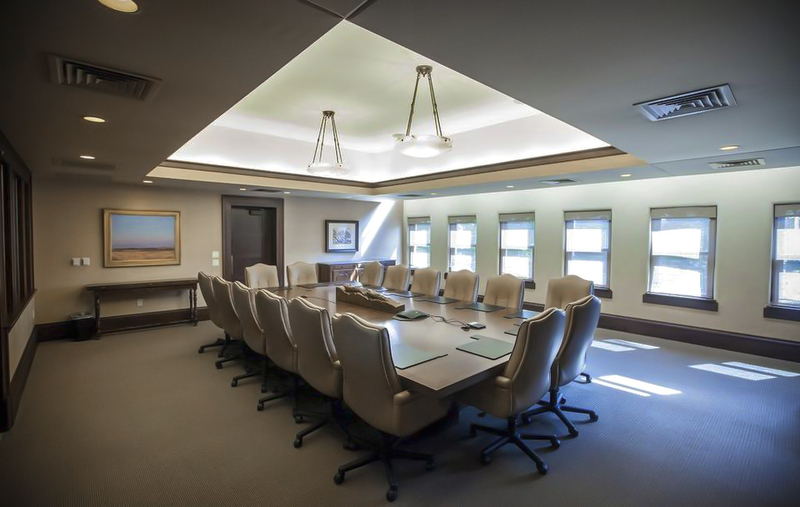 The board room on the second floor of the Wichita Carnegie Library melds historical ambiance and modern amenities to create a space suitable for conducting business. The area it occupies was originally the top two floors of library stacks. As a result, the exterior east wall features two rows of windows stacked on top of each other, a configuration that introduces natural light into the room. 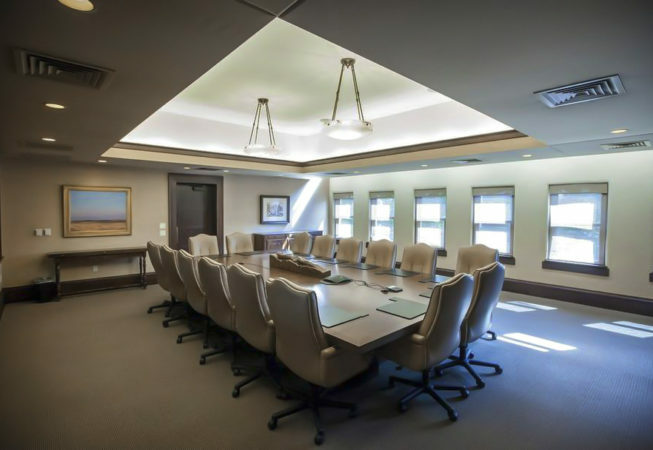 The centerpiece of the room is a large wooden board room table. State of the art audio video conferencing equipment is in place to facilitate meetings over a distance. The main entrance is located along the west wall and includes a bank of windows looking out to the second floor walkway above the lobby rotunda.